The Homefront was published from 1942 to 1946 and greatly boosted morale helping the war effort. It's hard to put into words what this magazine meant to our troops in a time when our young men were fighting to preserve freedom. This "piece of home," a "furlough in a magazine," provided them with a purpose and something to fight for. 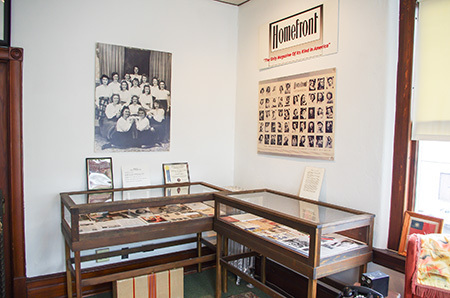 The notable exhibits on display are original Homefront magazines, WWII memorial, uniforms, correspondence, V-mail, and a letter from Norman Rockwell. 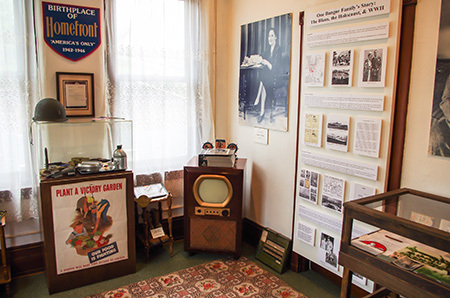 Also displayed is constantly updated research on Slate Belt servicemen who served in World War II. 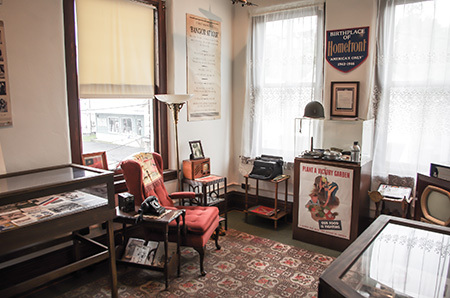 The Homefront provides later generations with an unequalled slice of life in a typical small American town during the 1940's and personalizes sacrifices made by all Americans on the war front and the home front.